This is a fun, little craft that you can include the kids in. One recent, boring day we got out a bushel of supplies, plopped it all on the kitchen table, and got to work making garden cards for our Spring (if we ever get it planted!) garden. 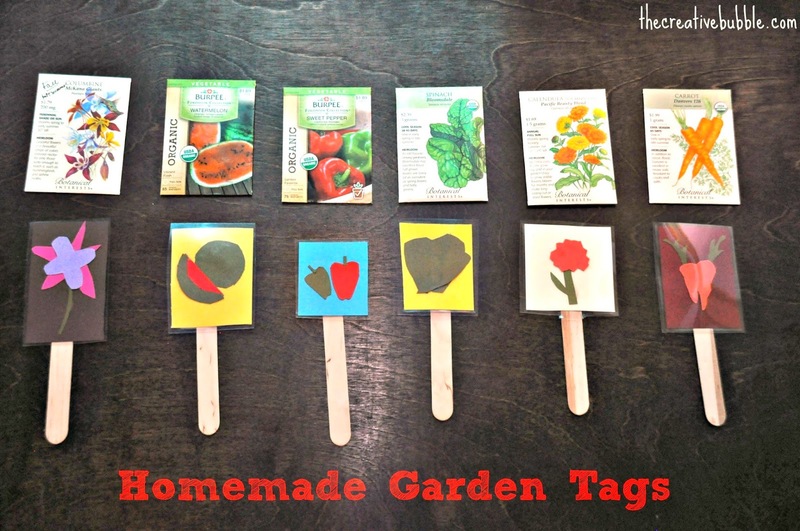 We picked out a few seed packs that would be fun to turn into tags, and cut out the corresponding shapes to match. 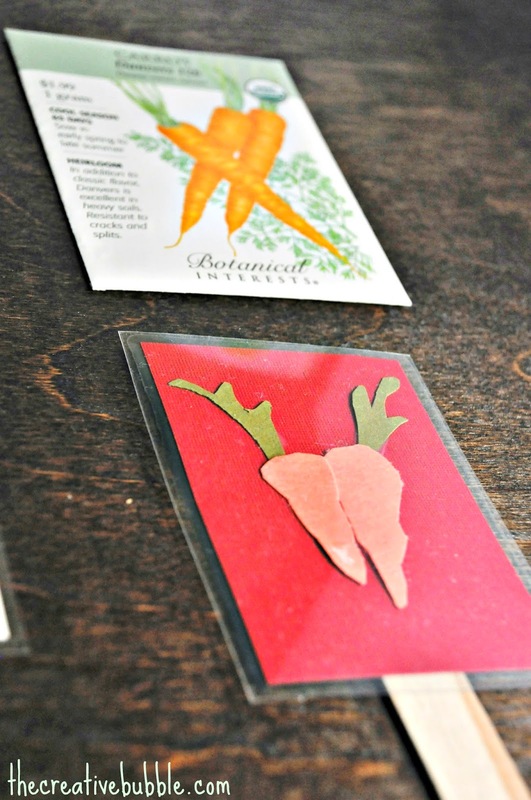 Each fruit or vegetable cut-out got its own background, then was laminated (at the same time as all the others). We then glued popsicle sticks to the back of the laminated cards. I meant to label them before laminating, but I might just write what they are on the sticks. I think they look kind of nice without any writing as well. Below are some pictures that show the process. My guys really liked being involved, because they got to play with paper, glue, and (kid-safe) scissors. They aren't old enough to cut out the shapes yet, but I imagine that this would be a really fun thing to do with older kids. It was St. Patrick's Day, hence all the green! This is really cute! Thanks for sharing!